Interested in psychology? Here’s a list of psychology (PSYC) classes offered at Kellogg Community College during the Spring 2019 semester. For a complete list of Spring 2019 semester classes offered at KCC, visit www.kellogg.edu and click on “Class Schedules” in the top menu to search for sections. A survey of physical, cognitive and psychosocial development through the total life span. Emphasis is on the normal changes in human behavior that result from continuous interaction of maturation and experience. Cross-cultural comparisons of developmental patterns are also considered. This course provides the foundation for many other courses in the psychology and education majors by introducing students to the principles of conditioning and learning, and behavior analysis concepts. Basic concepts and skills assist students in the development and implementation of evidence-based interventions in a variety of applied settings. The study of psychopathology in individuals from four current points of view: psychiatric (biophysical), intrapsychic, phenomenological and behavioral. Special attention will be paid to describing psychopathology in terms of behaviors. The course will also include current approaches to assessment and treatment. This course is designed as an overview and introduction of some common drugs and the subsequent behaviors/outcomes related to their use (e.g. addictions, abuse and dependence). The societal impact, as well as the affects drugs have on the individual (psychologically and physiologically) will be explored. In addition, the issues of treatment and prevention will be investigated and identified. Students will explore current research and psychological and sociological theories regarding the effects of specific mental disorders, personality, biological influences, developmental issues, and social/environmental contributors to both general criminal behaviors, as well as specific crimes and criminal conduct. Also discussed/explored will be the psychological effects of crime on the victim and society at large, as well as introduction to the profiling and prediction of criminal and violent behaviors. The first Spring 2019 classes start Jan. 11, and the semester ends May 6. For information about signing up for spring classes, visit www.kellogg.edu/registration. 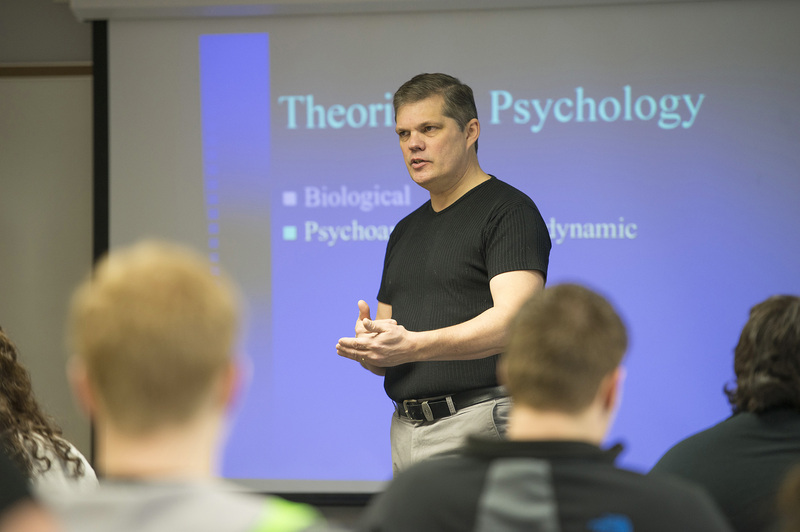 For more information about studying psychology at KCC, visit www.kellogg.edu/psychology.